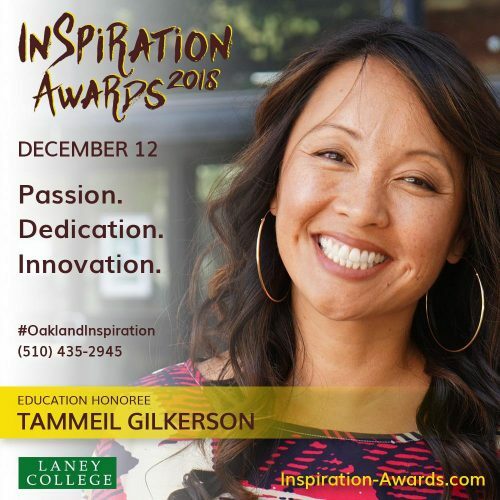 Laney College President Dr. Tammeil Y. Gilkerson will be recognized and honored with a 2018 Inspiration Award on Dec. 12. The event is sponsored by Oakland Digital and BridgeGood. Inspiration Awards is a heartfelt gala and fundraising celebration honoring three champions bringing about positive change through their passion, dedication, and innovation. President Gilkerson will be honored for her vision and leadership in the category of education. Oakland Mayor Libby Schaaf will be one of the event’s keynote speakers. Congratulations to President Gilkerson for this well-deserved award!